"I am Azazel, but a sinful fallen apostle... Well well, I suppose I should have kept that secret." I am Azazel, but a sinful fallen apostle... Well well, I suppose I should have kept that secret. Let's go together. My beloved sinners. Pity the good offerings. Know the love of the Lord in our arms. Heaven's vengeance, Beneha'elohim. Fools to fall in Heaven. Let the Lord love you instead. A priest apparent from the world called Eden, he now preaches in the church at a missionary school in Shibuya. He is restrained by archangelic chains that restrict the true scope of his power. Involved in the operation of the Aoyama Guild, the members of which come from across Shibuya Ward to Minato Ward, he loves everything about humans and was banished from paradise because of it. However, he would call even that banishment an act of love. A fallen angel and Father of the Mission school in Shibuya, and a high-ranking member of the Missionaries guild who appeared from the Eden gate. His body is bound in the chains of the Archangels, and his once earth-shaking power is reduced to a fraction of what it was. Although Azazel prefers not to discuss the exact nature of the action for which he was cast out from Paradise, he claims that what he did was done out of love for humans. His Sacred Artifact, in the form of the Bible he carries with him at all times, can provide surveillance over people through its Rule. However, since coming to stand by humanity, he has become a target of that surveillance too. Happily, he accepts that fate as another form of love to be welcomed. He welcomes all acts that stem from love and all who act on love, even if their actions may bring ruin in the future. His Sacred Artifact, the holy book kept on his person at all times, has the power to monitor mortals. As he no longer lives in Paradise, he too is subject to this, but he accepts his punishment gladly. He advocates strongly that one should believe in love above all and grants absolution to those who act out of love, even if that path leads to ruin. In Christian mythology, Azazel referred to a rugged cliff from which goats were thrown as sacrifice. Azazel is also sometimes translated simply as "scapegoat". 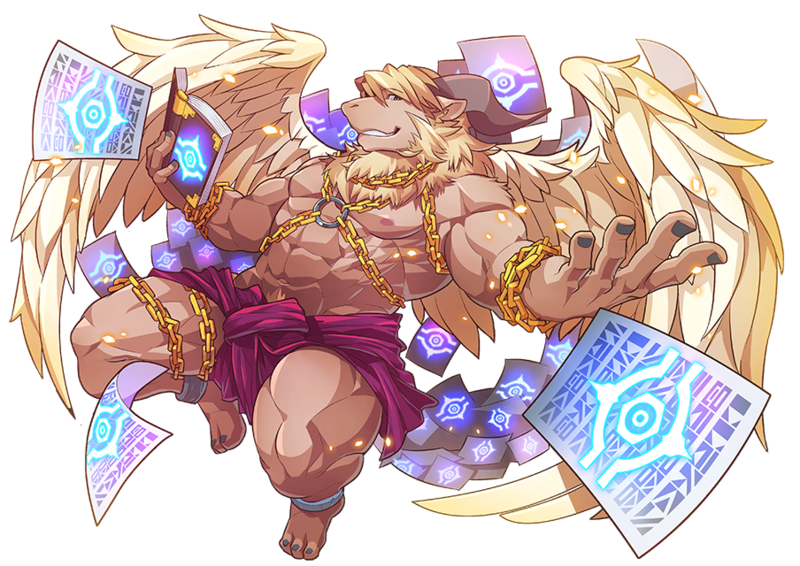 Azazel's Charge Skill, Bene Ha Elohim or "Sons of God" refers to the story of fallen angels who, cast out from heaven, formed forbidden sexual relationships with mortals. His Role is "Guardian" and his Rule is "Detection." Great news! Language is now banned. he down from paradise for me? 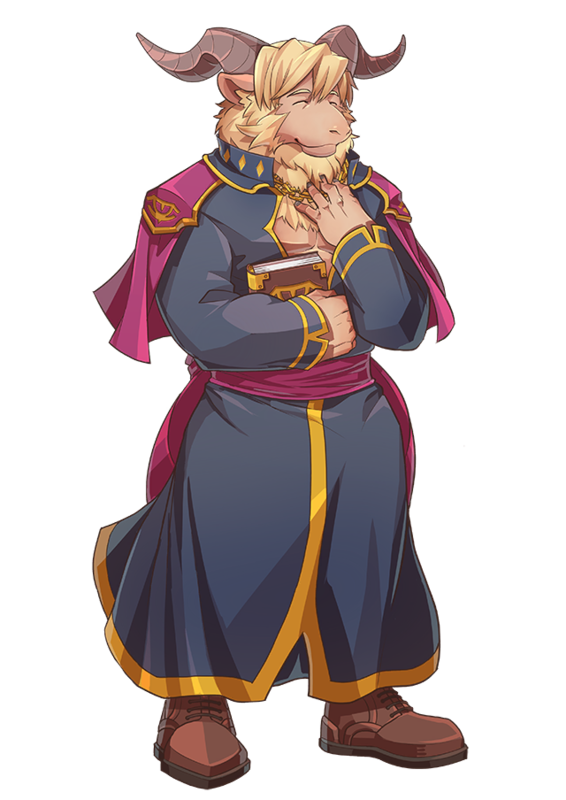 He's definitely the furry version of Goenitz. He is literally like "I'll defeat you with the power of love!" This page was last edited on 16 December 2018, at 22:33.